IntLawGrrls: 10th anniversary of the "Torture Memos"
Today, August 1st, marks the 10th anniversary of the infamous "Torture Memos" written by John Yoo, Steven G. Bradbury, and Jay Bybee, who were officials in the Office of Legal Counsel under the Bush Administration. 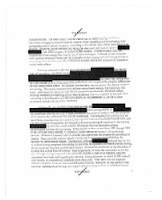 As described in previous IntLawGrrls posts available here, these memos provided a legal framework for the torture of detainees held by the CIA in connection with the "War on Terror." The contents of the memos are spine-chilling. Government lawyers employed strained legal reasoning to eviscerate the definition of torture under international and domestic U.S. law. In effect, these memos gave the imprimatur of the U.S. Justice Department to abhorrent and illegal acts. The memos authorized interrogators to slam a prisoner's head against a wall repeatedly; to deprive prisoners of sleep for eleven days at a time; and to subject prisoners to 'waterboarding,' a technique of controlled suffocation that was used extensively by the Spanish Inquisition and by the Khmer Rouge during the genocide in Cambodia. As a result of these legal opinions, one prisoner was waterboarded 183 times. In one of the memos Bradbury, then Principal Deputy Assistant Attorney General, opined on what constitutes "prolonged mental harm" as a result of torture. He juxtaposed waterboarding, which is used to "induce a sensation of drowning," with the game of Russian roulette. I have always found this analogy striking, given the facts of cases litigated by the Center for Justice & Accountability, for which I serve as Executive Director. Kemal Mehinovic, Muhamed Bicic, Safet Hadzialijagic and Hasan Subasic, our clients, were subjected to Russian roulette while being held in a Bosnian detention camp in 1992. Clients in other cases have endured waterboarding. Strangely, Bradbury concludes that waterboarding is an acceptable form of torture, but Russian roulette is not. Needless to say, CJA's clients would disagree. When the memos were declassified and rescinded three years ago, President Barack Obama stated that he believes strongly in "transparency and accountability." Certainly, transparency is a virtue, but transparency alone will not serve to deter torture unless it is followed by accountability. To that end, we at CJA request that the Senate Select Committee on Intelligence report due to be completed this summer – which examines the CIA interrogation program authorized by the "Torture Memos" – be made public, with the fewest redactions possible. The American public deserves to know the truth. We and others in the human rights community also are calling on Congress and the Obama administration to set up a nonpartisan truth commission with the authority to investigate and, if warranted, recommend prosecution of U.S. officials responsible for torture. Held responsible should be the interrogators who committed torture, the lawyers and senior officials who authorized torture, and the medical personnel who oversaw torture. President Obama needs to stand by his words and take this important step in holding U.S. officials accountable for their actions. It is in this spirit that we ask our President and Congress stand up for not just transparency when it comes to torture, but accountability as well.